There is a strong tradition of volunteerism in this country, and women have been the ground troops of volunteer organizations even when men ran them. This always irked feminist Nellie McClung, who before the First World War wrote of women’s role in the church: “Go, labor on, good sister Anne, Abundant may thy labors be; To magnify thy brother man Is all the Lord requires of thee!” Because of that war, and thanks to women like McClung, gender roles began to shift dramatically. Two new books show times when women were able to embrace new opportunities — and times when they weren’t. 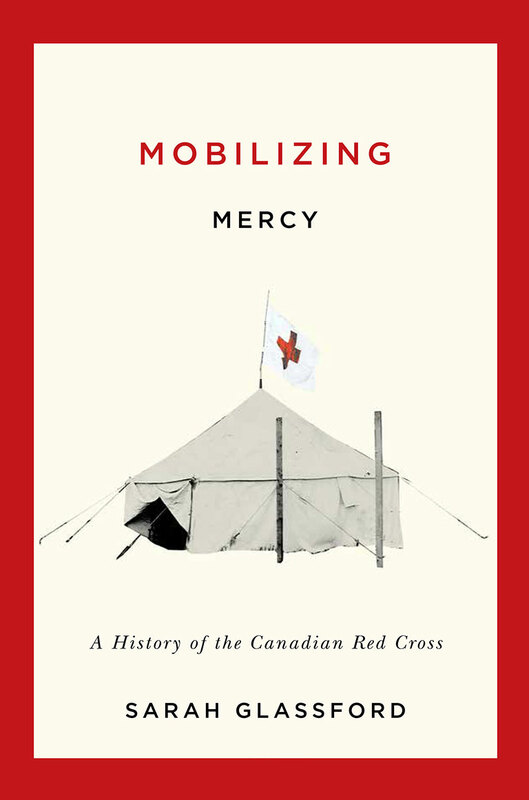 In Mobilizing Mercy, a well-researched history of the Canadian Red Cross, social historian Sarah Glassford describes how, during the course of the 1914–18 conflict, the organization blossomed from a small committee of military and medical men in Ontario, with loose ties to a handful of inactive branches, into an active, accomplished national agency. By the end of the war, women were well represented on its central council, and it was ready to evolve alongside Canada’s changing social values. This extraordinarily resilient agency then left its origins in military medicine far behind, as it moved into the provision of auxiliary health and welfare services within Canada, and then on to today’s focus on global disaster relief. Despite intermittent crises (the tainted-blood scandal of the 1990s being the worst), the Red Cross brand has remained largely unblemished as it continues its mission to “improve the lives of vulnerable people by mobilizing the power of humanity.” These days, the Canadian Red Cross Society (CRCS) is the leading recipient of Canadians’ disaster- relief donations, whether the disaster is a typhoon in the Philippines or the Fort McMurray wildfire in Alberta. How did this happen? In that crucial 1914–18 period, formidable women such as Adelaide Plumptre (“a born organizer”) and A.E. Gooderham in Toronto, and Montreal’s Lady Julia Drummond, quietly demonstrated to the men on the RedCross’s executive committee that women could be more than simply “useful” to their work; they could also bring new skills and approaches to management. During this period, Red Cross leaders saw their work not as charity but as a calling, and this persisted through the Second World War. However, during the second half of the twentieth century, there was a slow move away from crusading imagery towards the language of modern business practices and a reliance on paid professional directors. In clear and lively prose, Glassford explains how women lost status within the top ranks of the Red Cross. But their contributions to the society’s programs and services remained crucial, especially in gendered activities such as hospital rotations. In Glassford’s words, “Canadian women breathed life into the CRCS at the local level,” as the society mobilized women’s voluntary labour as a way of filling gaps in the existing systems of health-care provision. Glassford’s account stops at 1970, so readers don’t learn whether the leadership is more balanced today. Given the society’s ability to reinvent itself in tune with Canadian society, I would be surprised if it wasn’t. Linda J. Quiney’s This Small Army of Women has a much more modest focus: the long-buried story of nearly two thousand women from Canada and Newfoundland who signed up to be Voluntary Aid Detachment nurses, or VADs, in the First World War. Mainly middle-class, and with the bare minimum of training, these “bedside warriors” (in Quiney’s phrase) ached to be sent overseas to serve alongside brothers and fiancés. The Red Cross was largely responsible for equipping, instructing, and organizing them. One volunteer who was fired up by posters exhorting men and women to do their patriotic duty was a young Canadian woman named Doreen Gery. Her younger brother had already enlisted, and soon she was working in a military hospital in France, radiating chaste maternalism in her long-skirted grey uniform and demure white headscarf. VADs were not welcomed by professionally trained nurses, as Gery quickly learned. Her first case in a French hospital involved a soldier who had been bayoneted and was dying because his own intestines impeded his breathing. The nursing sister barked at the VAD rookie to push the intestines back into position. When Gery protested, “I can’t do it. I’d rather die,” the weary and overburdened sister snapped, “Well, die then! You’re of absolutely no use to me!” Gery steeled herself and got on with the job. Quiney, a retired lecturer in British Columbia, has uncovered rich primary sources for such personal anecdotes. Although This Small Army of Women is flawed by some of the problems that often bedevilled VADs themselves — poor organization and no clear sense of direction — such anecdotes convey the stresses faced by VADs and the exhilaration some enjoyed in their unconventional roles. The ambulance drivers, in their gogglesand leather coats, seem to have been a particularly lively bunch. Gery was still working in a French hospital when the war drew to a close. “We were just so tired that I don’t think we could have kept going for much longer,” she later remarked. For VADs like Gery, wartime bedside skills did not lead to peacetime opportunities as nurses back in Canada. The Canadian National Association of Trained Nurses continued to implement a fierce distinction between its graduates and “amateurs,” and it prevented VADs from infiltrating professional ranks. However, there were other new occupations, such as physiotherapy, to which VADs could aspire, especially as health services expanded in postwar Canada. I’m sure that within their home communities many VADs rejoined the vibrant army of Red Cross volunteers, upon whom that organization has always relied. Reviewed by Charlotte Gray, the author, most recently, of The Promise of Canada, People and Ideas That Have Shaped Our Country. This article originally appeared in the June-July 2018 issue of Canada’s History magazine. Book Review: The hundredth anniversary, in April 2017, of the Battle of Vimy Ridge was marked by major commemorative events but also by controversies. Book Review: In Strange New Country, Geoff Meggs argues that the strikes in 1900 and 1901 marked a turning point in the province’s history. Book Review: Just Watch Us examines RCMP surveillance of the “second wave” feminist movement in Canada over a fifteen-year period beginning in the late 1960s.